With over 5000 apprenticeships available in England each year, there are loads of opportunities for young people wanting to learn valuable skills between the ages of 16 – 18. The popularity of apprenticeships for young people, their families and the employers that gain from their skills and enthusiasm is clear to see and so the government is keen to increase the number of apprenticeships available. There are a wide variety of apprenticeships available and the range of employers will to offer apprenticeships is growing. After all, it’s a cost effective way for them to employ a young person that’s keen to learn and enables them to offer a committed worker full time employment at the end of the apprenticeship. Here are a few examples of more unusual types of apprenticeships. There are quite a few possibilities for apprenticeships within the agricultural field and it’s an industry that’s well suited to the type of training and ‘hands on’ experienced required to fulfil the terms of an apprenticeship. 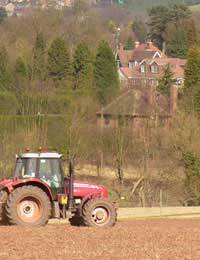 Many large farm estates will employ apprentices to help their tenant farmers – ask at your local college or speak directly to the estates manager. There is a misconception that apprenticeships are more likely to be found in manual work, but this is not the case as there are a number available in office-based roles, such as personnel, accounts and bookkeeping and office management. Large local businesses may offer apprenticeships through their local colleges or directly, so it is worth contacting the HR department if there is a particular local business that interests you. Careers in child care and assistant teaching are well suited to apprenticeships; especially as the ‘knowledge and competency’ based skills that are required can be effectively gained in the workplace. These positions tend to be offered through local colleges or the local authority, many of which now have their own websites which are regularly updated with vacancies. Start by approaching the HR manager or admissions secretary. The beauty of an apprenticeship in construction is that the people that are ideally suited to a career in this area get an opportunity without having to go on to university. Many young people find that they do not want to continue with full time education but have impressive career goals that used to demand more studying. An apprenticeship in construction allows these people a chance to work in this field through a different entry. Some young people that gain an apprenticeship in construction do actually go on to complete an engineering degree, usually with a workplace placement, as they see the potential careers available in this field during their initial employment. Tourist offices, sports centres and public and private gyms are keen to offer apprenticeships as a way of introducing them as a workplace option. They are well suited to sporty young people that are unsure of the career options available. Some holiday camps and holiday companies also offer apprenticeships – contact them directly and then ask your local college to help you arrange the necessary details.